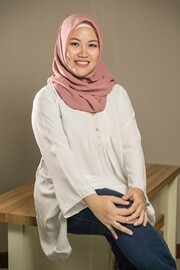 Michelle holds a master's degree in economics from University of Indonesia and an undergraduate degree in economics also from the same university. Michelle is a quantitative researcher with special interest in labor and development economics, population and family studies. Prior to joining SMERU, Michelle worked as a research assistant with Lembaga Penyelidikan Ekonomi dan Masyarakat Universitas Indonesia (LPEM-UI) and Lembaga Demografi, both in the Faculty of Economics, University of Indonesia. Michelle received an UI-SYLFF scholarship from the Nippon Foundation in 2014 to support her master's degree in Economics at the University of Indonesia.